Before getting his start in the world of bankruptcy law, our firm’s founder, Stanley Bond, owned a catering company that worked for small, special events. While catering was an enjoyable profession, Stan found that it wasn’t as rewarding as an intellectually challenging career. He always held an admiration for bankruptcy law firms, and it was only natural that he pursue a profession in the area. And so, in the late ‘80s, Stan went to law school and eventually founded Bond Law Office in 1993 to provide assistance to those in need of a bankruptcy attorney. Since Stan established Bond Law Office, the firm has of course grown and changed. However, Stan was very selective in who he invited onto his team. As a result, the core principles that he held at the start continue to be at the center of our philosophy today. For instance, Stan set a precedent at the start of his career to be thorough and patient when working with clients. To this day, those values are shared by every member of our team. In the same sense, we always operate with each client’s best interests in mind. We understand that bankruptcy is a terrifying thought. The way society spins it, people tend to associate the term with making bad decisions. But in truth, the vast majority of our clients have found themselves in debt not because they were irresponsible with their money. Rather, things happened outside of their control — they fell ill and couldn’t pay off their medical bills, or they were laid off and racked up credit card debt while looking for their next job. Life happens, and there’s absolutely no shame in owning up to your debt. From there, you can regain control over it, and we’re here to help you do it. Probate and estate planning are entirely different concerns that must be addressed for entirely different reasons. But, as with bankruptcy, we’re here to guide you through the legal processes associated with each. "When it comes to bankruptcy, we give you peace of mind by separating the realities from the myths, regardless of the chapter." We created this site to help you navigate the various bankruptcy and probate processes. In addition, we’re always willing to answer any questions you may have. Bankruptcy and probate can seem scary, but we’re here to help. As we help you through this, our focus is always on your well-being and never on anything else. As part of our resolution to be ready for anything, we work to stay sharp even in less common practice areas, such as Chapter 11 and Chapter 12 Bankruptcy. Our goal is simple: we want to assist people through their financial hardships and prevent future hardships from coming to call. In your case, we will tell you the good and the bad, without reservation, and work with your particular situation for your benefit. 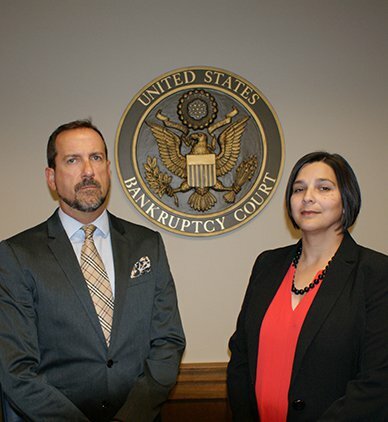 We believe that bankruptcy law firms should take responsibility for teaching their clients about what they can expect throughout their Chapter 7, 11, 12, or 13 bankruptcy, just as we believe that probate law firms should fully outline the details of the probate process before ever taking legal action on behalf of their clients. Should you decide to retain us as your legal team, you can expect to learn a great deal about the matter at hand. As you become more familiar with the legal process, you will become more comfortable making informed decisions. Our hope for you is that you will learn and grow from the experience, and ultimately gain a newfound sense of confidence as you move forward. From there, we can work together to build a game plan.